Power Wrench Storage Box; an aluminium storage box that safely and conveniently stores the Power Wrench portable valve actuator and its hose. Swivel connector; allows the Power Wrench hose to rotate freely. “The tool is a safe device, for it can only be operated with both hands. 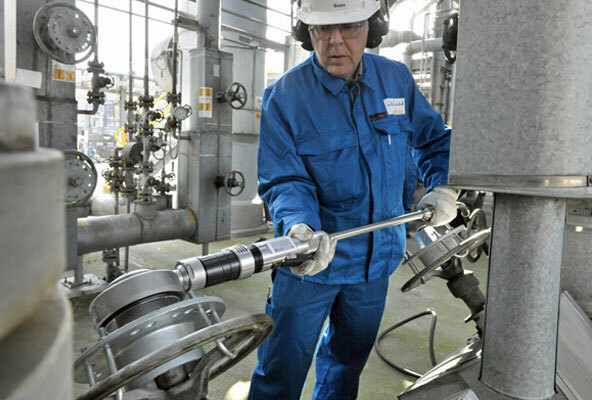 It allows me to do my job faster and more easily – which is great because I’m not that young anymore.” – G. Knepper, Dayshift Operator, HDPE Polymers – Production, SABIC Europe B.V.